On 14th October 2013, the Bishop of Coventry received answers to two written questions on humanitarian assistance in Syria. The Lord Bishop of Coventry: To ask Her Majesty’s Government what steps they intend to take following the G20 Summit in St Petersburg to ensure unimpeded access for humanitarian workers inside Syria, including safe routes for aid convoys and the lifting of any bureaucratic hurdles imposed by the Assad regime. Baroness Northover: It is vital that aid reaches those who have been affected by the Syria crisis. Since the G20 summit, the UK has successfully pushed the Security Council to capitalise on its strong chemical weapons resolution by applying its weight and authority to securing unfettered and immediate humanitarian access. On 2 October, the UN Security Council unanimously agreed a Presidential Statement setting out measures to facilitate access for humanitarian relief to all parts of Syria. The Minister of State for International Development, the right honourable Alan Duncan MP, met Baroness Amos of the United Nations Office for the Co-ordination of Humanitarian Affairs on 9 October to discuss these urgent matters. 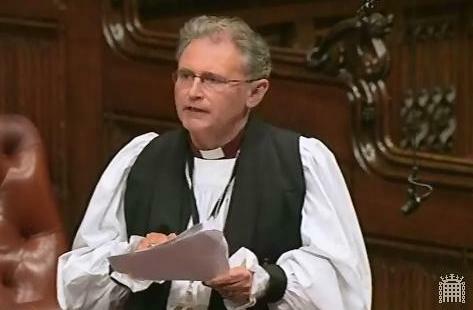 The Lord Bishop of Coventry: To ask Her Majesty’s Government what percentage of their humanitarian aid response to the conflict in Syria is allocated for the education and protection of children affected by the conflict. Baroness Northover: The UK Government has committed £500 million to the humanitarian response for Syria for relief items such as food and shelter for those affected by the crisis, including children. Of the £500 million, 6.4% (£32 million) has been specifically earmarked for the education, psychosocial support and protection of children affected by the conflict.